Workshop YVS-Models let out the model of launcher of missile complex VOLGA. Scale 1:43, material is foundry plastic, wheel rubber. Workshop LERMONT it let out the party of models to scale 1:43 the cargo versions of the automobiles Of russo-Balt of series Of m24-30,35. Material- resin, plastic, tin metal. Model number RB Of m24-35 of onboard, RB Of m24-35 tank truck, RB Of m24-30 bus. Workshop LERMONT it let out the party of models to scale 1:43 the unarmored military versions of the automobiles Of russo-Balt of series Of m24-40 and T40-65. Material- resin, plastic, tin metal. Model number RB Of m24-40 cargo opened for transportation of projectiles, RB Of m24-40 of cargo with the awning, RB Of t40-65 with the gun Of lendera-Ternavskogo, RB Of t40-65 with the gun Of lendera-Ternavskogo, performance with the wings. Workshop YVS-Models let out the model of the transporter-loader TZM of 9T230 OTRK of 9K714 OTR-23 OKA conversion for the transportation of people. Scale 1:43, material- foundry plastic. GMM “Of minigrad” let out the first party of the models of the automobile Of ural-432009 completed to armor by the capsule of production “Muromteplovoz”. Scale 1:43, material- metal, resin, tire rubber of the production of the specialized workshop from Kharkova. GMM Minigrad let out the model MOR (machine of the provision of mine clearing) Of ural-432009. Scale 1:43, material- metal, foundry plastic, wheel- rubber, the production of the specialized workshop from Kharkova. Workshop YVS-Models again let out the party of the models Of model BAZ-5921 of the of launcher of of 9P129 of from of the of missile of complex of surface-to-surface of of 9K79 TOCHKA (NATO: SS-21 SCARAB). Scale 1:43, material- high-quality resin. Workshop YVS-Models again let out the party of the models BAZ-5922 of the of transporter-loader (TZM) of of 9T218 of of missile of complex of surface-to-surface of of 9K79 TOCHKA (NATO: SS-21 SCARAB). Scale 1:43, material- high-quality resin. 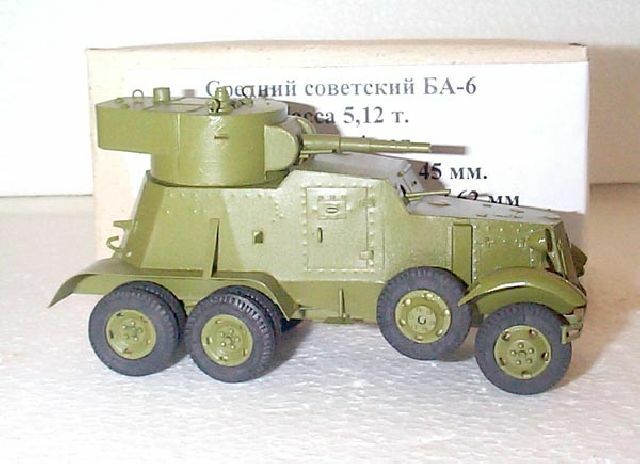 Workshop YVS-Models within the framework of the program of output of the models of automobiles on the chassis ZIL-135 let out model OTRK LUNA- M of 9K52. Scale 1:43, material- foundry plastic, wheel- rubber. Workshop YVS-Models within the framework of the program of output of the models of automobiles on the chassis ZIL-135 let out the model TZM OTRK LUNA- M of 9K52. Scale 1:43, material- foundry plastic, wheel- rubber. 2011-10-19 Model of the transporter-loader TZM of 9T230 OTRK of 9K714 OTR-23 OKA. Workshop YVS-Models let out the model of the transporter-loader TZM of 9T230 OTRK of 9K714 OTR-23 OKA. Scale 1:43, material- foundry plastic. Workshop YVS-Models let out the model of the launcher of 9P71 OTRK of 9K714 OTR-23 OKA. Scale 1:43, material- foundry plastic, wheel- rubber. 2011-02-16 Exclusive Official Representative of the RO-Models Workshop in the Czech Republic, Slovakia, Croatia. RO-Models Workshop declares about the discovery of official exclusive representation in the Czech Republic, Slovakia and Croatia. If you wish to model, please contact: Martin Klos, e-mail: t138@seznam.cz. Information about 17 already issued and coming soon military 1:43 scale models by Norev were added to the catalog. MAL Studio issued several limited edition models of MB-L1000 Cargo in Wehrmacht colors. Models are available for $250 + shipping from Virginia, USA. Please e-mail us with questions or orders. YVS Workshop is planning to manufacture in 2010-2011 a line of single-axle tractors in 1:43 scale in different variations. To better assess interest to these models, we would like you to download the file with the program, mark the quantity of models you would like to get in the «Quantity» column and send it back to us. This is not an obligation on your part, but you will be able to purchase these models ahead of everybody esle if when these models become available. We are starting a very interesting and extremely unique project: a 1:43 scale model of one of the largest wheeled non-railroad chassis in the world - the 140-ton transport MAZ-7904 with payload capacity of 220 tons developed to carry the Soviet response to the US Peacekeeper missile. The model will be gigantic in size: 75 cm (30 inches) long, almost 16 cm (6.5 inches) wide and only 8 cm (3.2 inches) high. Christopher Sweeney, One of our readers, was very kind to send us scans of his paper copy of the 1999 CEF/Replex catalog. The most interesting thing about this catalog is that it lists models that have never been produced before the company closed. IF YOU HAVE ACCESS TO THESE PRE-PRODUCTION MODELS, PLEASE CONTACT ME. Inside you can see scans of the catalog. One of the favorite part of my 1:43 scale collection consists of approximately 50 VERY heavy metal armored cars and trucks made by a French manufacturer CEF/Replex that unfortunataly does not exist anymore. In this little article, I will show you pictures of my collection, point you to CEF/Replex models in my Encyclopedia, give you a chance to see some extremely rare pre-produciton samples, ask you for information about models missing in my collection and catalogue, as well as give you a link on where you can still buy some of these models at a decent price. XCM Workshop started work on two armored cars accordint to the program communicated earlier. The first phase will include models of BA-6 and BA-64. Workshop representatives will send an offer to everybody who have submitted their requests earlier. If you have not sent your request yet, but would like to get these models, please download and fill out this document and send it to us. Your request will be added to the manufacturing plan.